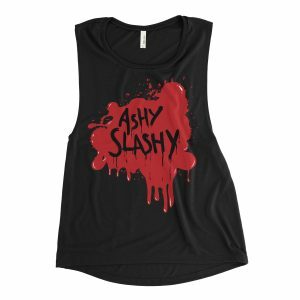 Ashy Slashy women’s muscle tee. A black and red muscle tank top inspired by Ash vs. Evil Dead.